Your body needs nourishment after a long night of sleep: Sleeping does not mean that your body is at rest. In fact, metabolic and physiological activities still happen within the body and this uses up energy. So, eat well to make up for that energy loss. Healthy food stimulates brain cells: Good work is not possible without you being productive in the true sense. With a good breakfast, you have enough energy to concentrate better, learn better, and take sound decisions. A good breakfast helps you fight various health problems: An empty stomach invites a variety of health problems such as acidic reflux, indigestion, and not to forget bad metabolism. 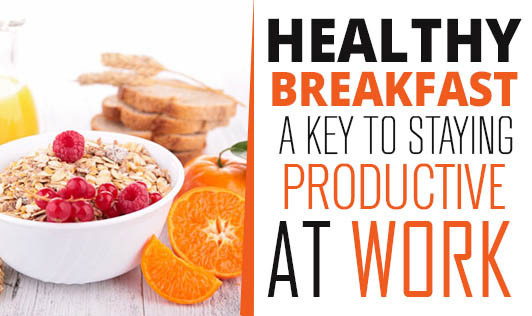 Eating a good breakfast will help keep energy levels stable through the day. Even small changes like eating a nutritious breakfast can go a long way in helping you stay healthy. Start today!